Los Rakas Remix "We Dem Boyz"
Los Rakas is comprised of cousins Raka Rich & Raka Dun, pioneering Panamanians by way of Oakland, California. 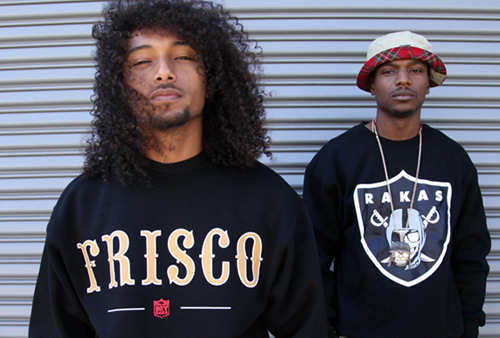 Los Rakas are on the frontier of a new Latino urban sound. Known for their fresh mixture of Latin hip-hop, plena, reggae and dancehall music with both Spanish and English lyricism, Los Rakas represent the cutting edge of Pan-American flows. The "We Dem Rakaz (Hola)" video starts with Raka Rich leaving his apartment with Soy Raka - Los Rakas' 2010 underground classic single & video - bumping in the background as he takes off for a trip around Lake Merritt in Oakland, California with the scraper bike crew. A local culture born from the streets. Scraper bikes are recycled in creative and colorful ways to be paraded in style around the town. We have the same thing in Panama," says Raka Rich on highlighting the scraper bikes in the video. "It's about people re-using what they have and doing something dope with it. It's happening in ghettos everywhere," says Raka Dun. HOLA HOLA HOLA WE ARE LOS RAKAS. SOMOS LOS RAKAS! RAKAS FOR LIFE!